Approachable and affordable kaiseki served by a formidable pair. 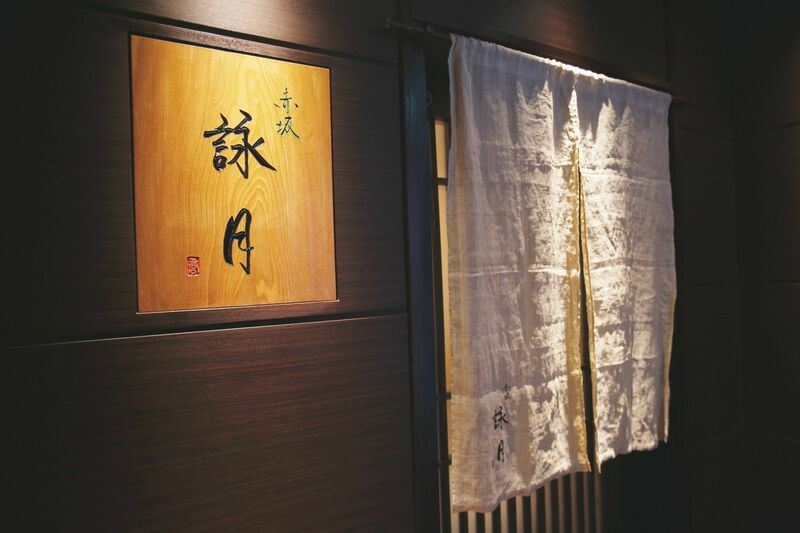 This chef and tea ceremony teacher husband-and-wife team serve the best in delicate Kyoto flavors at unbelievable value, tucked away in the pocket of a building in the middle of bustling Akasaka. While the flavors will awaken you to the delicacies enjoyed by generations of emperors for whom this kind of kaiseki multicourse cuisine was first developed, there is nothing of the pomp – here you will be treated to the warmest kind of hospitality. Found in a fairly hidden location in the corner of a dimly lit building’s fourth floor, once inside you will feel like you have been welcomed into the private home of a master chef. This casual setting has just four counter seats and one or two tables, so it is impossible to not feel special that you get to dine here. 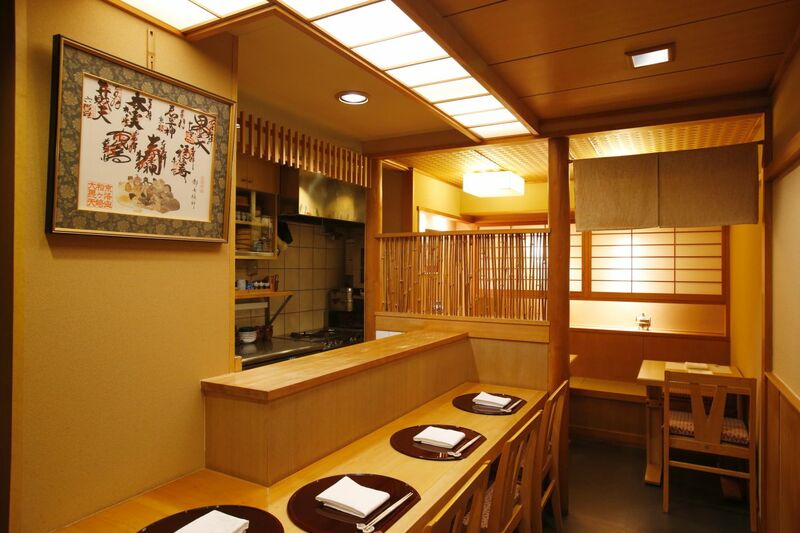 A well-loved unvarnished wooden counter, traditional Japanese paper sliding doors and a small bamboo wall separating the tables for further privacy: it is simple, minimalist, and austere. 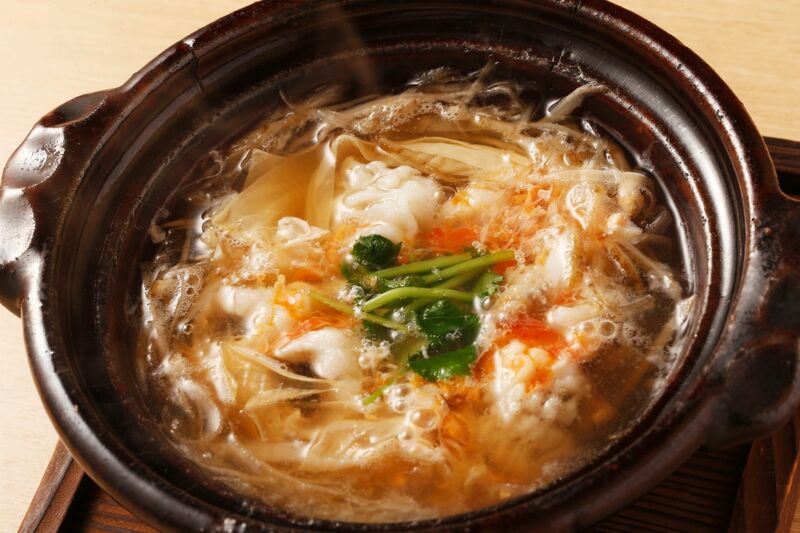 Enjoy real Omotenashi at Eigetsu. 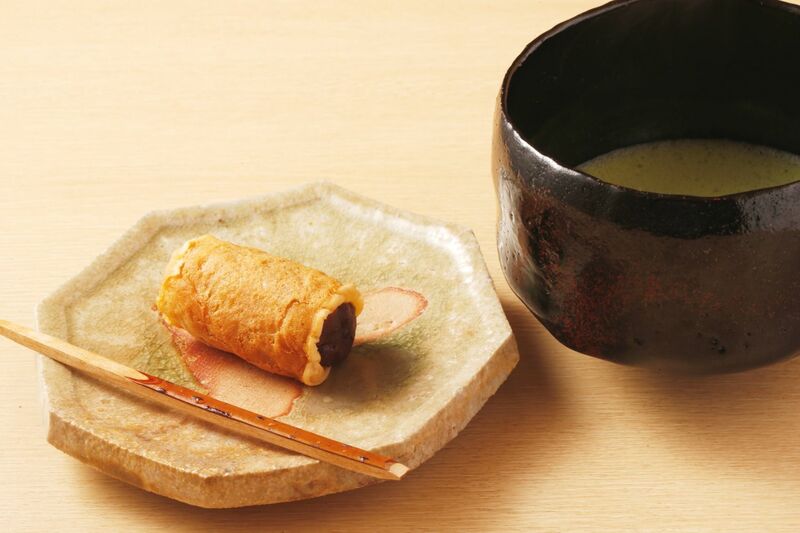 The restaurant’s name, Eigetsu, is the biggest clue to the style of cuisine. It literally means to read or listen to the moon, and refers poetically to times of old when farmers were guided by the moon and seasons alone. 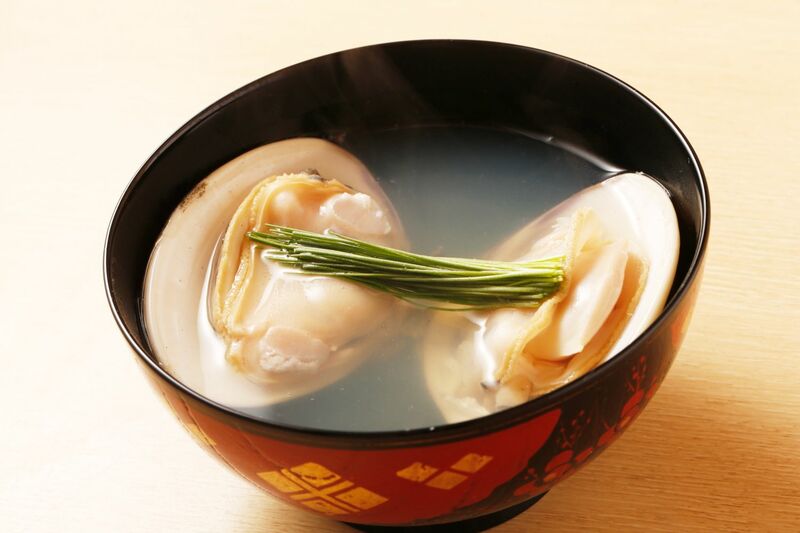 These dictated the products that could be harvested, and the concept became the foundation for Japanese cuisine – enjoying the best of the blessings that each season offers. 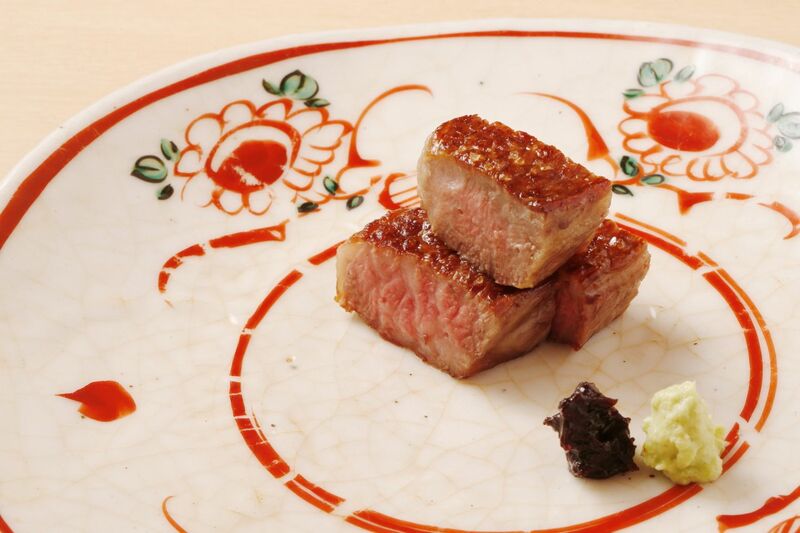 Compared to the elaborate plating methods seen so often these days, the presentation at Eigetsu is simple, but you will be wowed by the depth of flavor in every bite. Emphasizing seasonal specialties, Chef Iwasaki brings out the best in their innate flavors and pairs them with a wide selection of sake, which he is particularly fond of. The concept for Iwasaki’s first foray as an independent chef was built around his idea of the ideal establishment – a reasonably-priced, comfortable place to eat fine foods and drink delicious sake with friends or colleagues. Eigetsu is the very realization of that concept. Each time you visit your course will be different. Interspersed with signature touches, you can always count on expertly prepared cuisine with delicate dashi-based flavors typical of Kyoto. 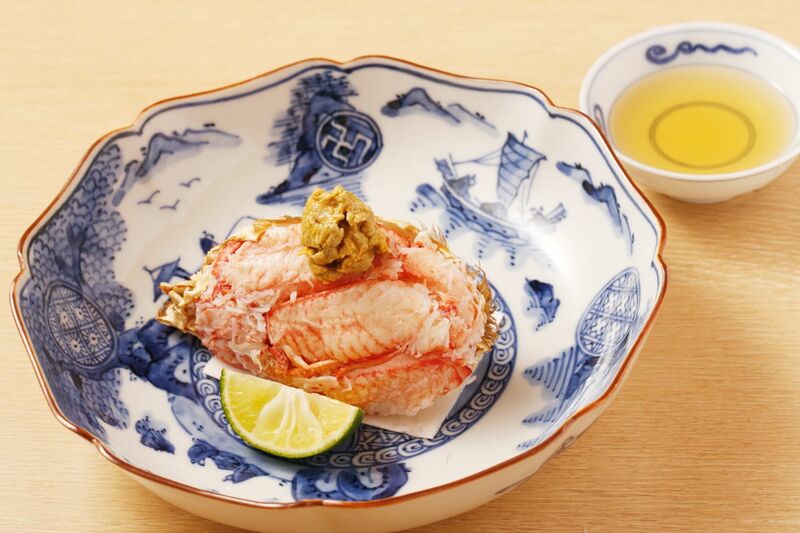 To stimulate your appetite, your first dish will likely be generous morsels of crab meat plated in the crab claw, and served with sudachi citrus and a vinegar-based dipping sauce. The chef has done all the work, so all you need to do is devour the meaty bites in this refreshing dish. 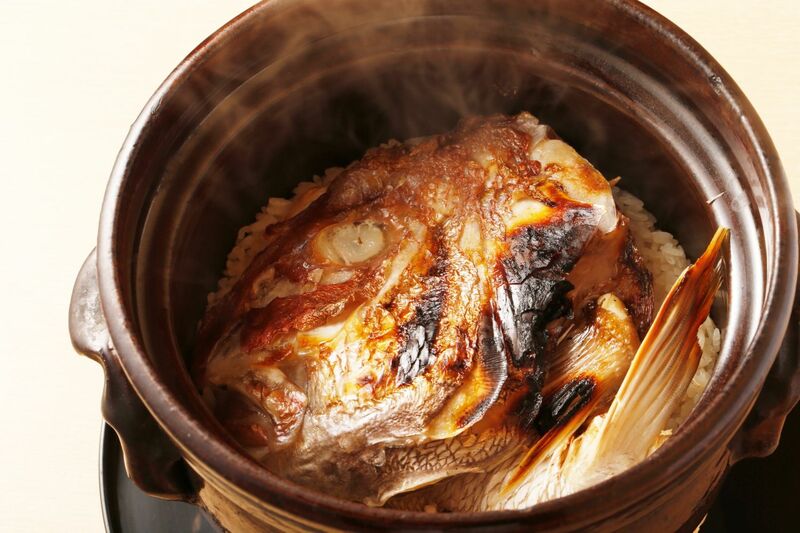 The dishes that follow may include warming hot-pot in an earthenware dish; a faintly cloudy soup, rich in the dashi of the fleshy clam that sits within it; or mouthwatering beef steak served with freshly grated wasabi and homemade miso paste. Accenting each dish is a flash of color – a purposeful and flavorful garnish – making this full-course meal the perfect combination of visual stimulation and taste satiation. 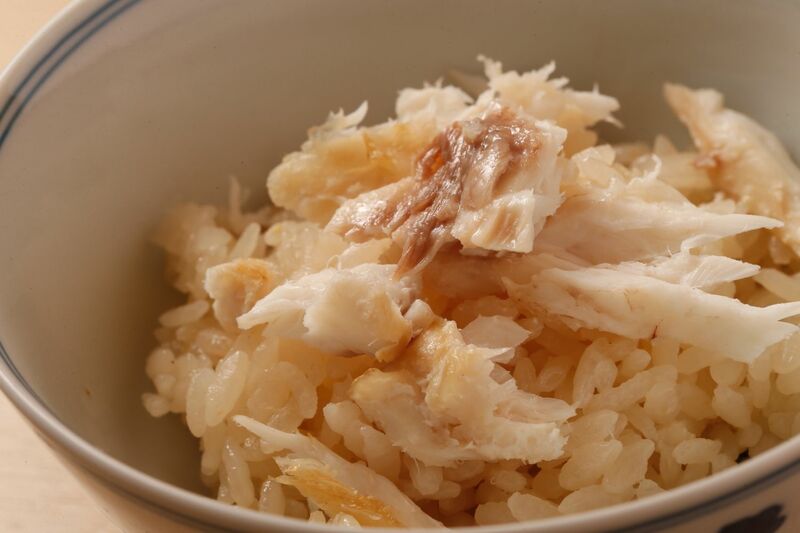 Apart from a few key ingredients specifically procured from the Kyoto area, such as daggertooth pike conger (hamo), specialty vegetables, and Dainagon azuki beans that feature in the desserts, Iwasaki is driven by the mantra of ‘quality first’. This gives him the freedom to work with the best ingredients day after day, without being restrained by brand or location. This is one of the reasons for the excellent cost performance that Eigetsu has to offer. Through daily visits to Tsukiji Market over the years, Iwasaki has built strong relationships with suppliers, ensuring access to premium products that he carries back to the restaurant each day. Behind the chef’s delicate hands and softly-spoken demeanor is an unlikely past, but one which he talks of with much nostalgia and joy. A rock guitarist during his high school years in Kanagawa, he earned a recording contract performing covers of 50s and 60s western rock bands. Wishing to pursue the life of a western rocker and polish his English at the same time, Iwasaki took himself to Vancouver, Canada. It was there that he was exposed to a totally different scene. Supporting himself with part-time jobs at Japanese restaurants, Iwasaki soon found himself in the kitchen cooking tempura and robatayaki, much to the delight of customers in the gastronomically diverse city. 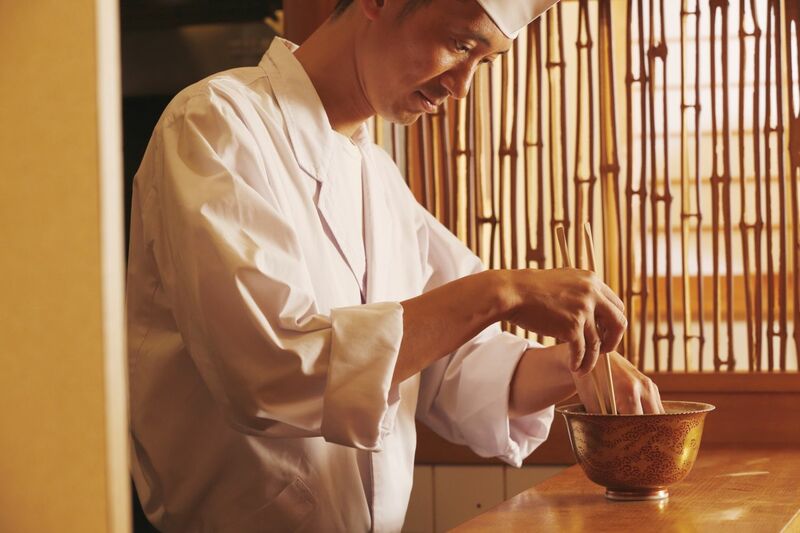 He discovered his inner Japanese spirit, and became determined to succeed on the culinary path, dreaming of going out on his own by the age of 30. Iwasaki persevered for many years building his knowledge and skills under various masters, some notoriously strict and relentless. 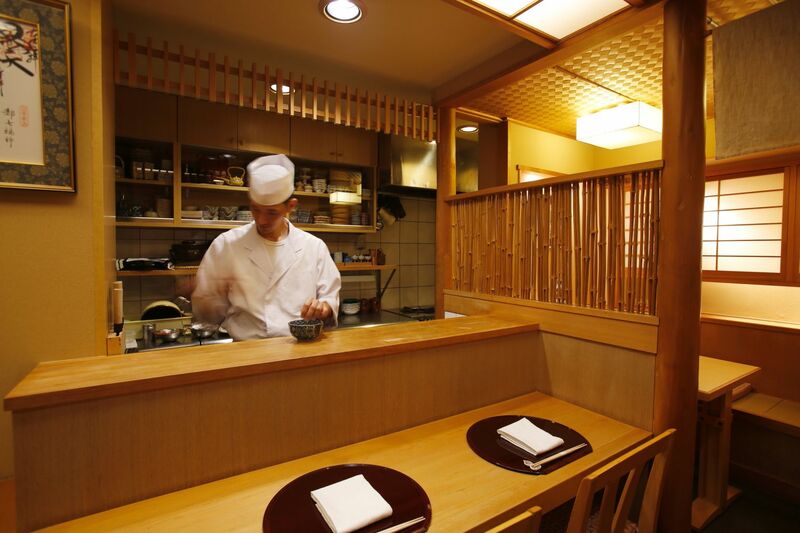 Iwasaki feels the biggest influence on his style and flavors came from his master at Ajihana in Kyoto, where he spent just one year before being encouraged to move on. That launched him into the sous chef role at Sumiya Ryokan, a guesthouse in the heart of Kyoto with more than 100 years of history. A challenging yet highly rewarding role, the other fruit of Iwasaki’s time there was encountering his lovely wife. Now this delightful couple shares soft words and the occasional laugh as they lovingly prepare the dishes for guests to enjoy at Eigetsu. With this restaurant and a sister location just minutes away, Chef Iwasaki feels he has plenty to keep stimulated and busy. Whilst unwaveringly passionate about what he does, he yearns to spend more time enjoying his family. Lacking the nurturing it requires, this is the element of life Iwasaki is currently working on. As you reflect on your dinner over a bowl of warm matcha and homemade Japanese sweets, you realize that Chef Iwasaki is a genuinely nice guy – you can see it in his actions, you can taste it in his food. 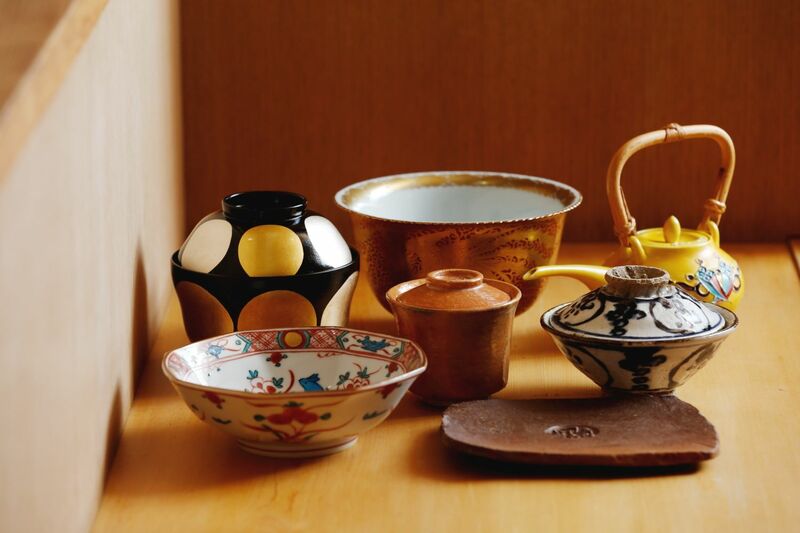 From a young age, Chef Iwasaki loved Japanese tableware. While other 20-somethings might have been saving up for a motorbike or car, he had his eyes on antique dishes. He says he doesn’t know especially much about them, so he chooses purely based on his attraction to a dish. For Iwasaki, the market value of any item pales in comparison to its sentimental value. One of his most prized dishes was a gift from his tea ceremony master. And a smile brightens his face as he holds dishes gifted from his beloved grandmother: she generously suggested he take whatever he likes from her collection upon opening his restaurant. The dishes are visually warm, rounded and generous. 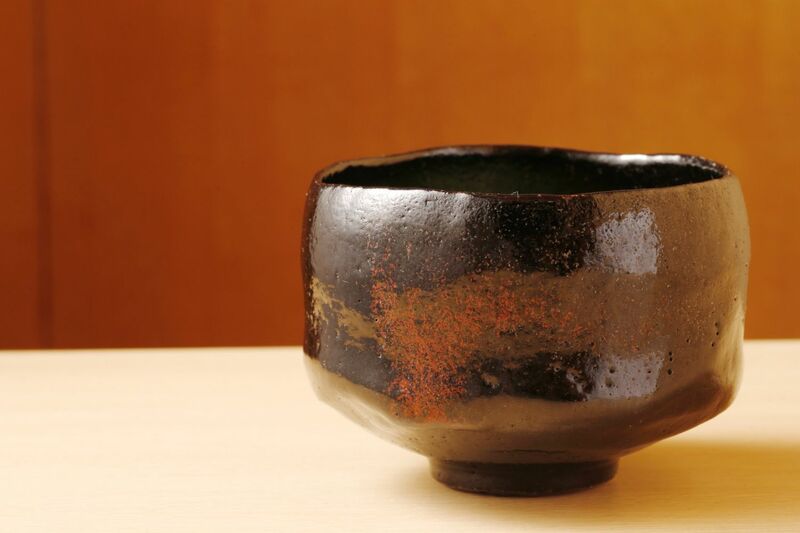 Hints of red peek out from under the dark brown glaze of a beautifully rotund tea bowl that highlights the bright green color of freshly whipped matcha. 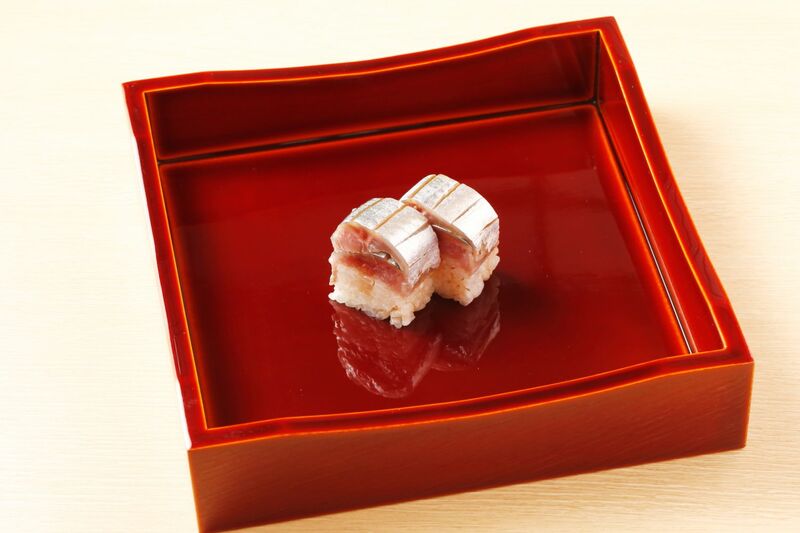 The sheen of a red lacquerware box complements the glistening silver skin of Pacific saury sushi it presents. When a plump clay pot holding piping hot rice has its tall matching lid removed, the aromas that escape are unforgettable.